Rescuers plucked two people out of the water on Sunday when their fishing vessel sank in the Solent. 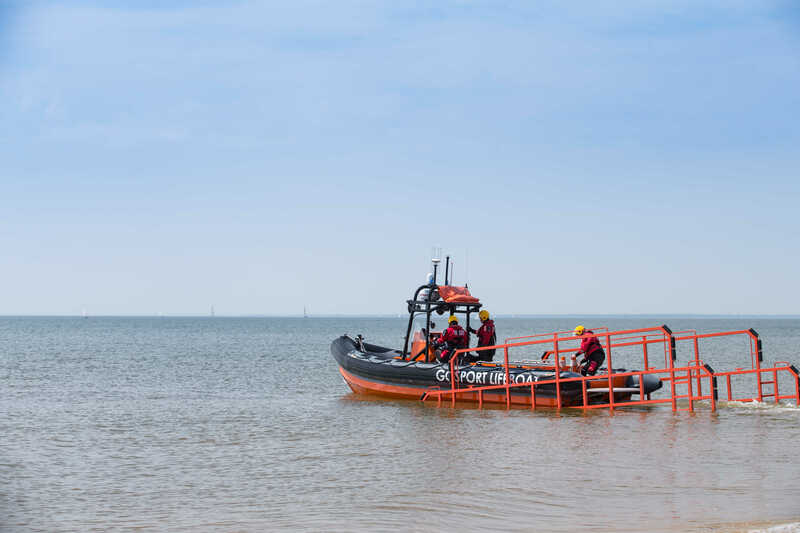 Gosport & Fareham Inshore Rescue Service and Calshot Lifeboat were tasked by UK Coastguard to reports of a sinking boat off Titchfield Haven at 11am on Sunday morning. GAFIRS coxswain Pete Byford said: ‘When we arrived on scene, Calshot lifeboat had just pulled the fishing vessel’s crew from the water. There was debris from the boat strewn across the water which we picked up and then worked to secure the stricken vessel to our lifeboat.